Continuing with the Florida trip & a bit warmer weather then what we've had here lately. 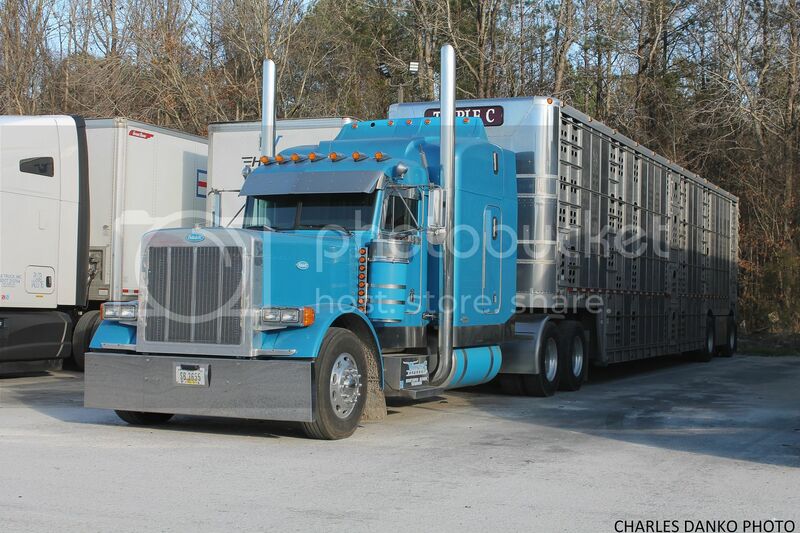 Triple C Express Pete 379 bull hauler from Lisbon IA laid over at the Eastgate Travel Center in Wade NC. 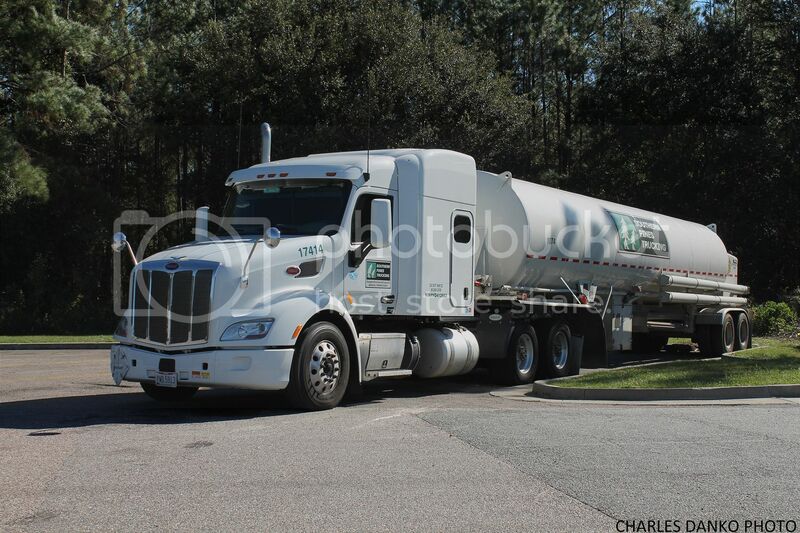 My first decent shot of a Karl's Transport from Antigo WI is this KW T680 at the Pilot in Florence SC. 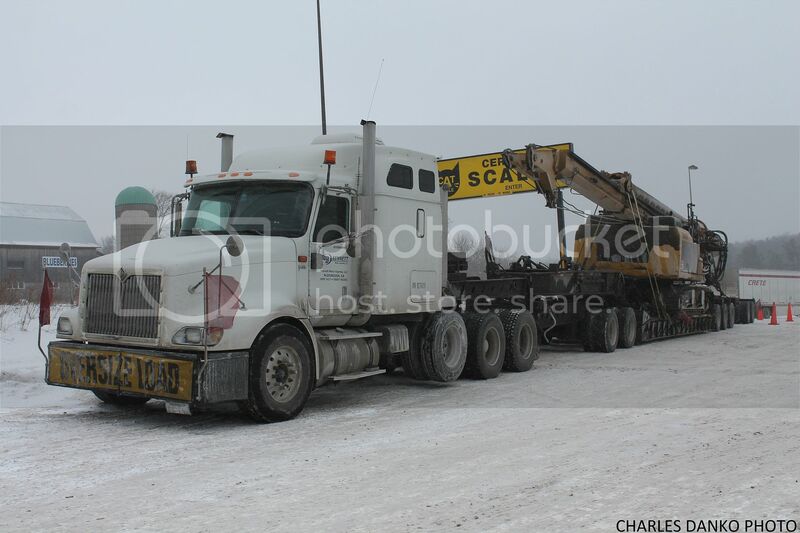 Very sharp KW T660 flatbed for Les Transport CBG from La Presentation QC getting ready to pull out of the TA in Manning SC. 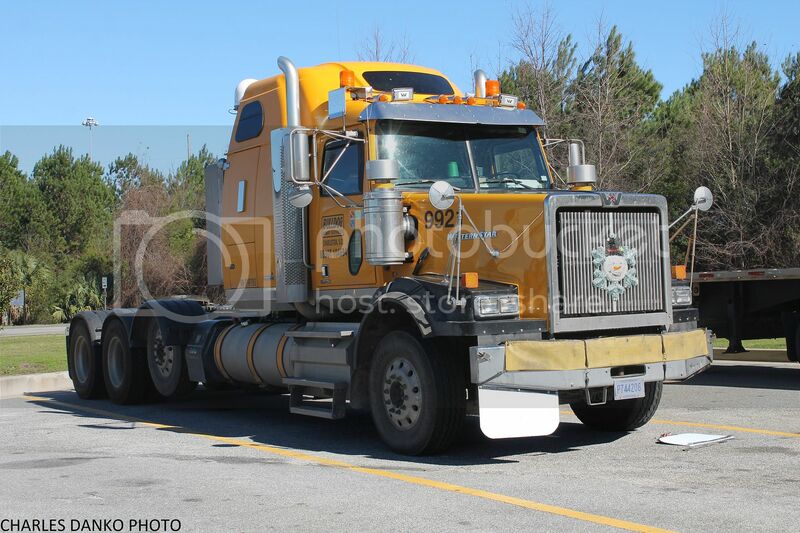 Niswander Trucking Pete with an ag trailer from St. Thomas PA at the TA in Richmond Hill GA.
A brute of a Western Star belonging to Bulldog Hiway Express of Charleston SC waiting for its trailer at the TA in Brunswick GA.
Vulcraft Carrier Corporation Pete 579 flatbed from Florence SC stopped for a break at a Shell fuel stop in Kingsland GA. 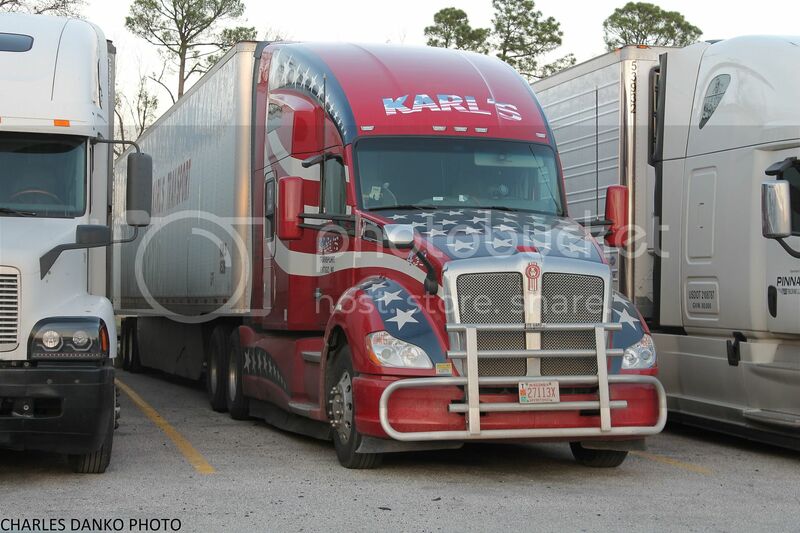 The Karl's KW is nice, I always like seeing the patriotic rigs like that. The Niswander Pete is really sharp, black and chrome, hard to beat that combo. 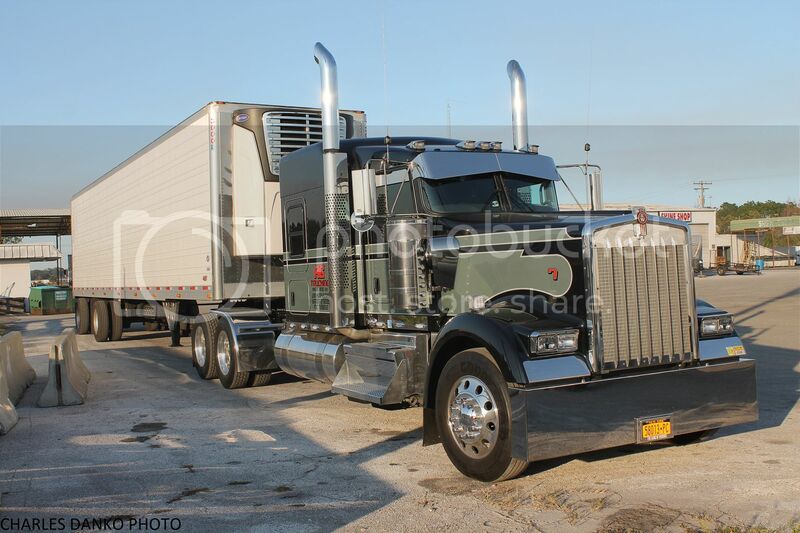 Hard to beat that Triple C Express Pete, that's just a beauty right there. 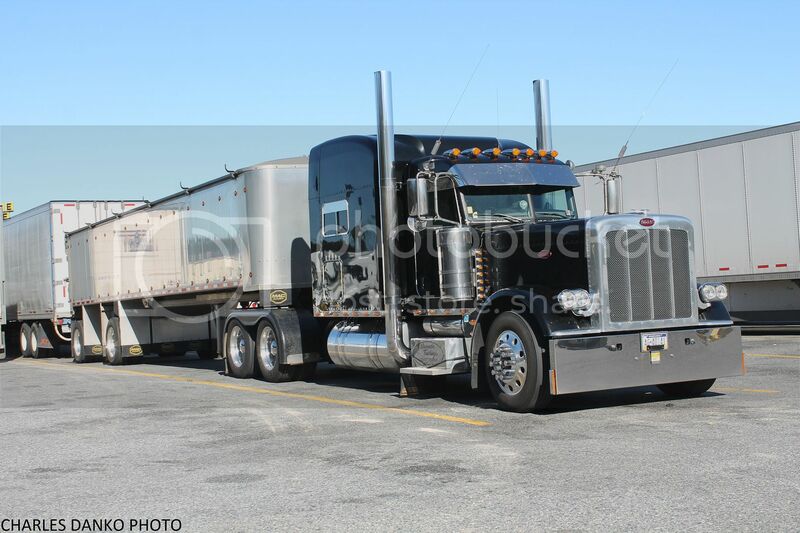 And I'm glad you got a clean shot of that Karl's T680, I've seen them a couple times but never gotten a clean shot. Love what they did with the livery on it. 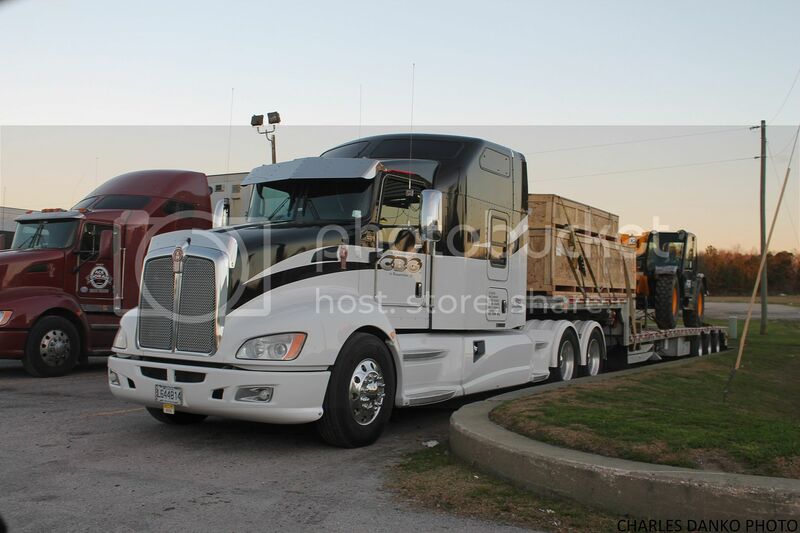 And that's one of the finer T660's I've ever seen, a rare breed indeed. 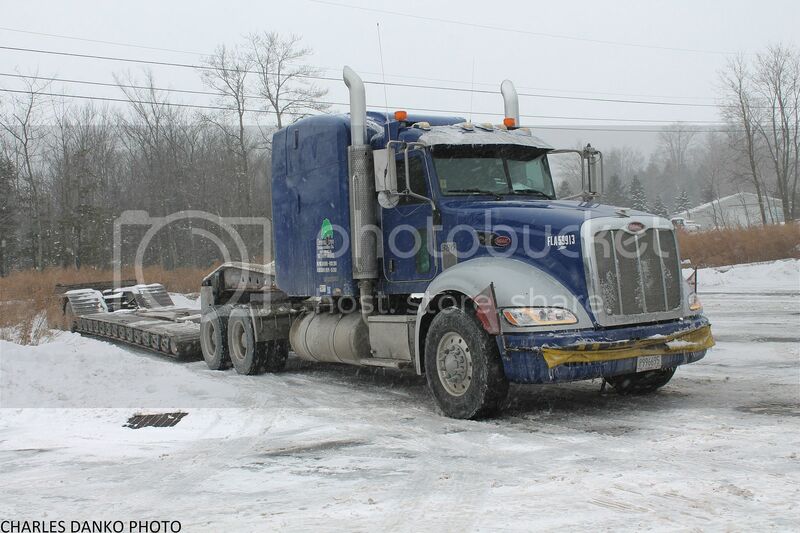 Hope to see the Karl's KW again...…...it's really a looker. 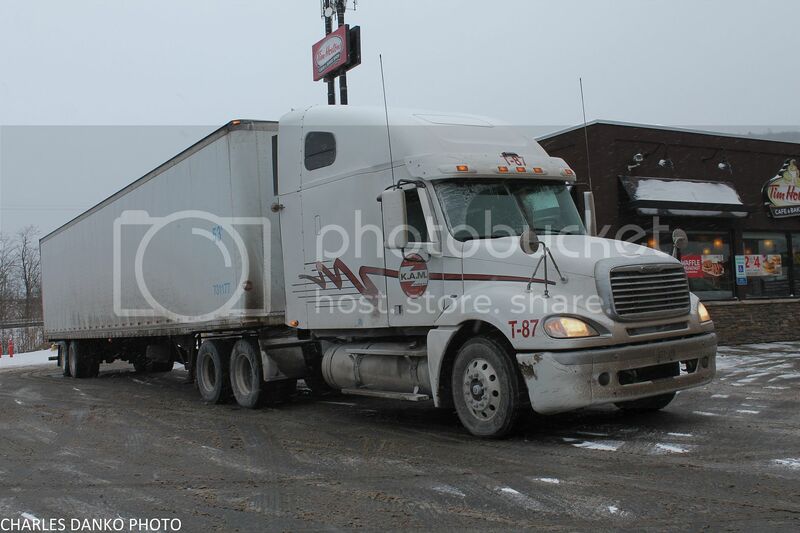 The T660 was a sharp truck but i'd love to catch the Bulldog Starcar with a trailer & an oversize load. Well back to the cold & snow again with pics from a trip to Vestal NY on 1-30-19. Quite a few whiteouts along the way and temps below 10 degrees made for an exciting day. 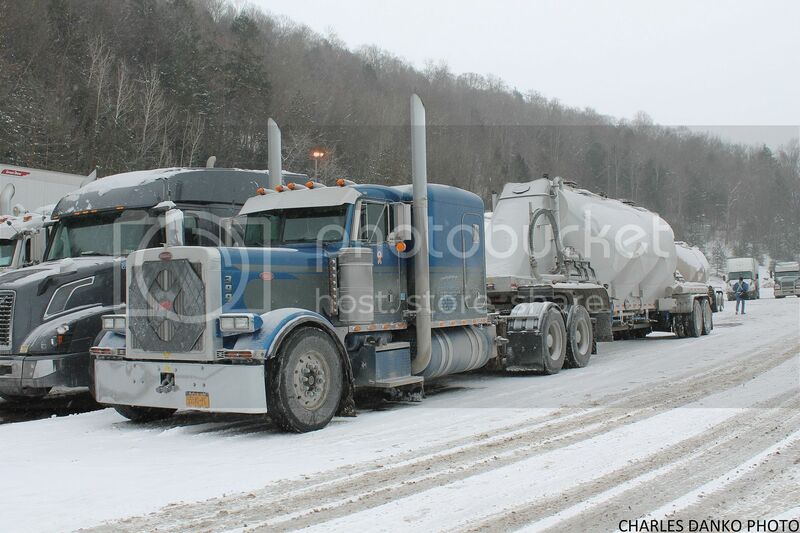 Greentree Transportation Co. Pete 386 from Pittsburgh PA laid over at the Gouldsboro Travel Plaza on I-380 in PA.
A trio of frac tankers parked at the Penn-Can Truck Stop on I-81 in Harford PA.
T.D. Smith FLD tanker from Mount Forest ON at the northbound Southern Tier Welcome Center on I-81 in Kirkwood NY. K.A.M. 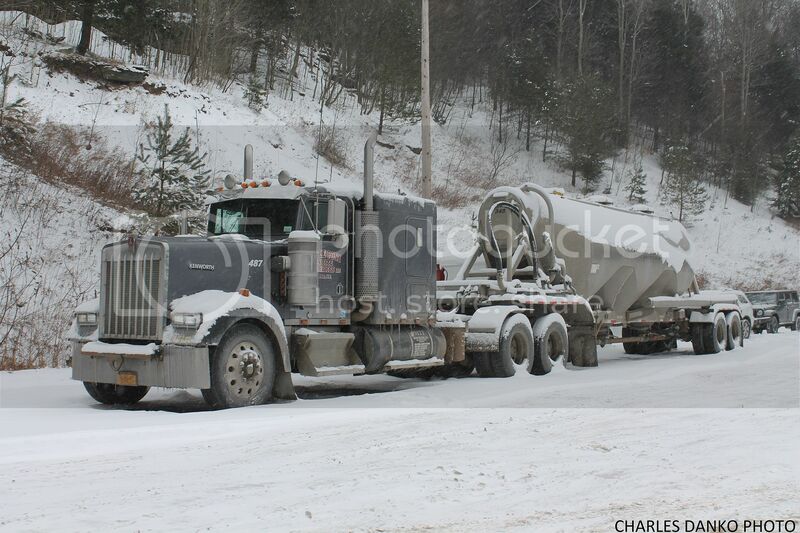 Trucking Inc. FL Columbia from Wainfleet ON taking a break at the Tim Horton's in Great Bend PA.
Bennett Motor Express International 9400 from McDonough GA parked for the night with an oversize load at the Flying J in New Milford PA. Snow's lookin' real good Charlie! All the usual suspects are nice (and grimy, which I love), and that FLD looks good too. I wonder how Jonathan Zavitz is doing. 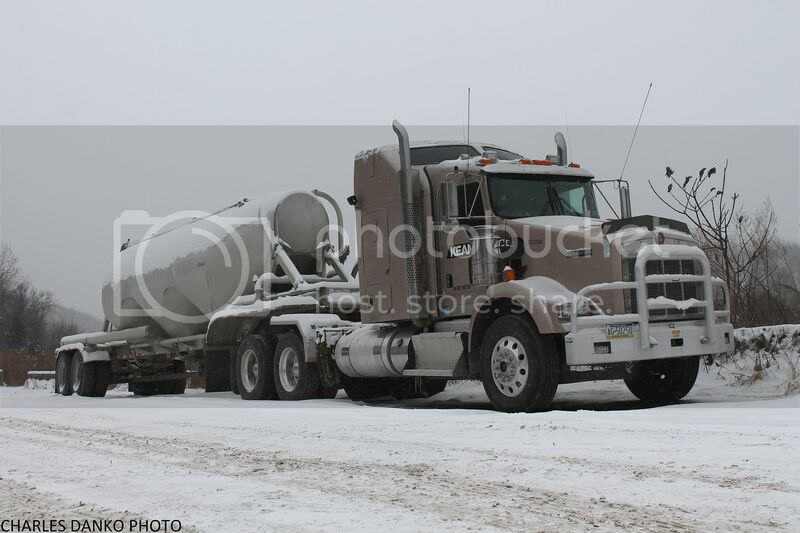 That first Frac tanker you caught is pretty cool, one heavy duty looking tractor! The old FLD still chugging along is worth the pic for sure! Seems to be doing well according to the little chat I had with the driver. Jonathan is a dispatcher now. 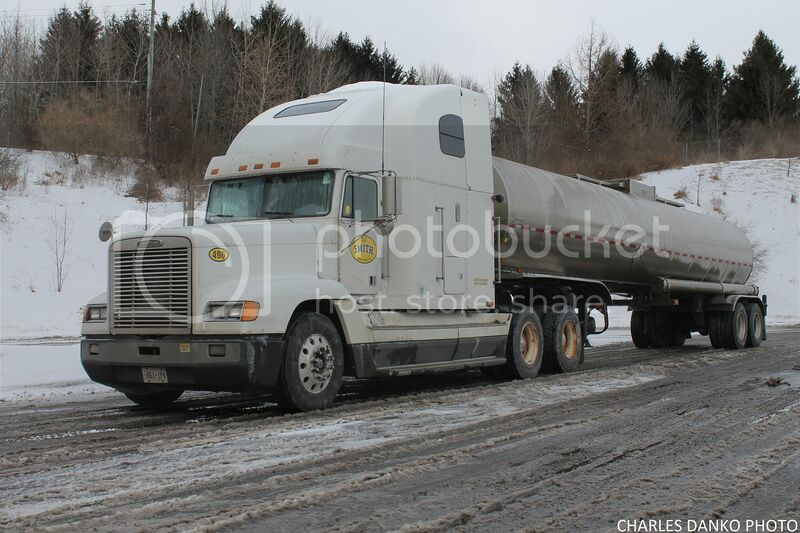 The T800 frac tanker is a cool rig, has a rugged and ready look, but still looks good. The FLD looks good too. This 6 pack will wrap up the Florida trip I took from 1/8/19 to 1/10/19. Southern Pines Trucking Pete 579 tanker from Monaca PA at the Petro in Kingsland GA.
Moore Freight Service Mack Anthem glass hauler from Mascot TN at the Pilot in St. Marys GA.
Old FL flatbed parked at the Pilot in St. Marys GA.
Big bunk KW T600 stepdeck leased to Mercer at the TA in Baldwin FL. 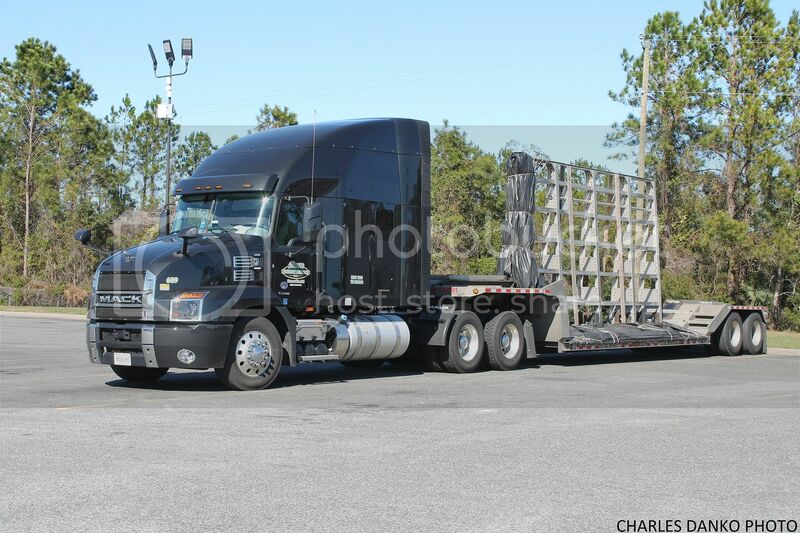 Sargento Transportation Volvo VNL 860 cheese hauler from Plymouth WI at the Petro in Ocala FL. 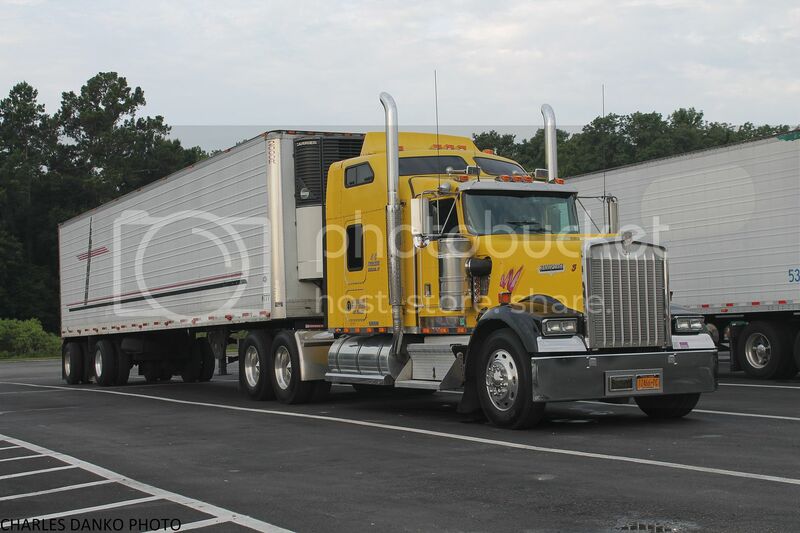 AG Trucking KW W900 from Highland NY parked at the truck wash in Wildwood FL. AG Trucking KW is outstanding! The old FLC is looking a little tired but always fine to see one around! Nice shots Charlie, I think that AG Trucking W900 must run FL-NY a bit because I've seen him running north-south through here a few times. And I agree with Jim, even though that FLC needs some TLC it's still nice to catch 'em out in the wild. 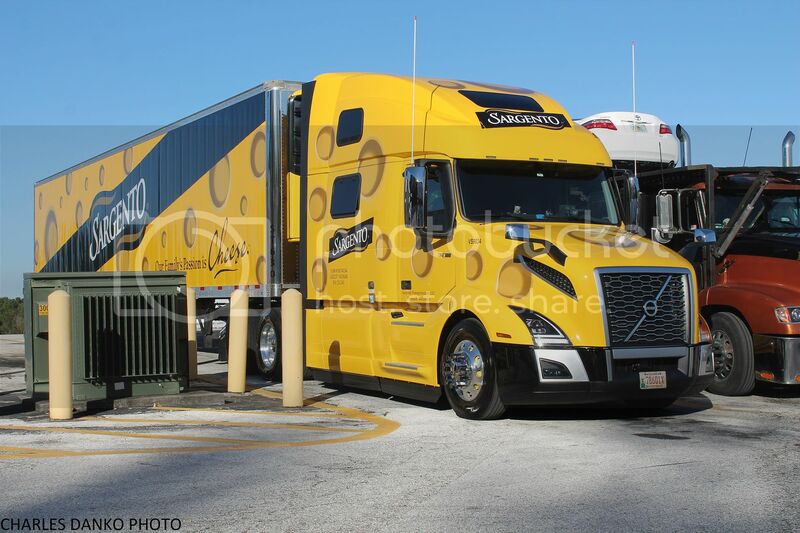 And nice catch on the new Volvo for Sargento, I've always liked their livery. 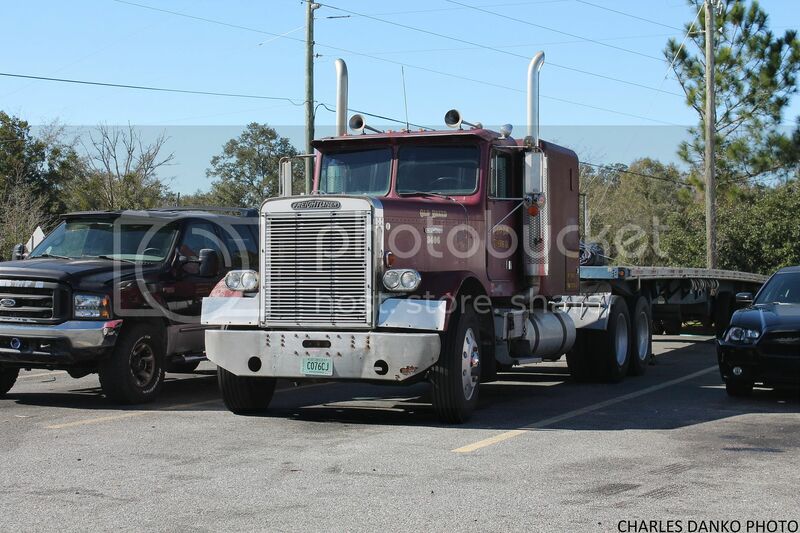 AG Trucking appears to be a 1 truck outfit & I've seen him quite a bit on 95 so i'm guessing you're spot on. 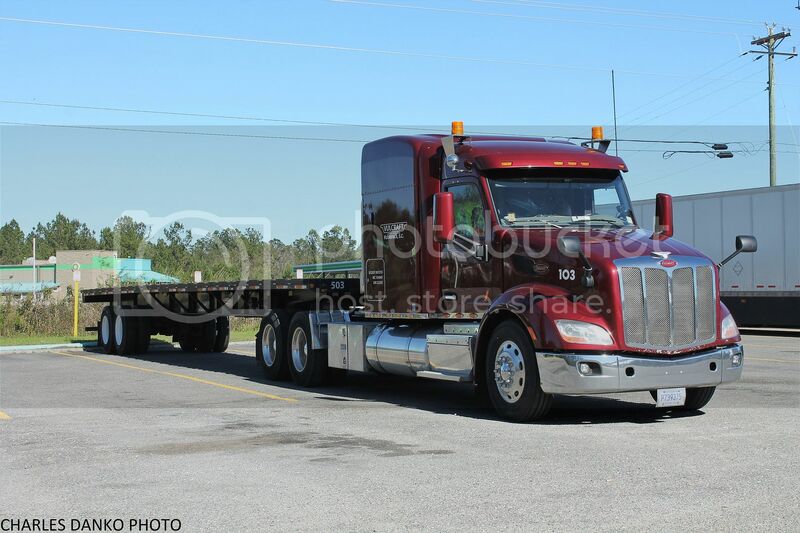 I got a pic of his previous KW at the 75 Chrome Shop back on 7-3-14...……..gotta say I like the green & black KW better. I enjoy all of your photos but especially the ones taken in the S.E. truck & fuel stops . I've spent years of my life in them and often parked for the night in the same spot as your photo .